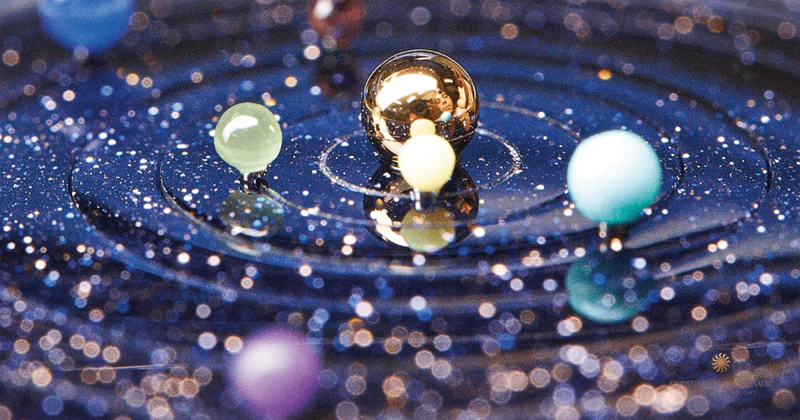 There is no denying that most almost everyone loves the solar system as well as the starry sky. There is no exception for me and I love it very much. 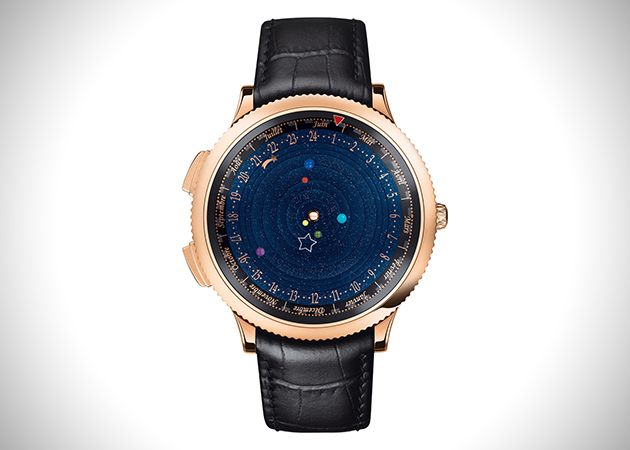 Surprisingly, I discovered an amazing and gorgeous luxury watch—the Midnight Planetarium watch from Van Cleef &Arpel’s Poetic Astronomy series by chance when I am too boring to surf the internet today. I was amazed by the magical beauty of this watch at the first sight of its picture, even it’s a watch for men. Maybe I am out of fashion and centuries, I don’t know anything about it until today. Let’s make a brief introduction to you guys about it. 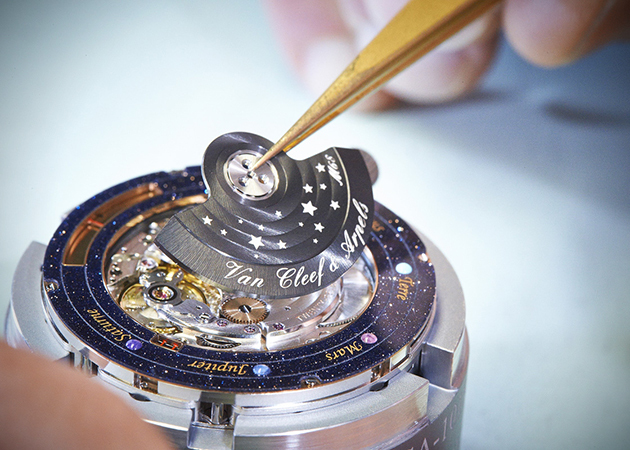 The Van Cleef &Arpel’s which is a well-known brand of luxury of French has been creating high jewelry since 1906 and now it’s famous all over the world. This kind of watch I talking about was one of its products and was released in 2014. Instead of hands denoting the hours and minutes, it incorporates six of our solar system’s planets rotating a tiny version of the sun in real time. Without doubt, it’s a luxury watch for common people. But it’s not the most expensive watch for some rich people. 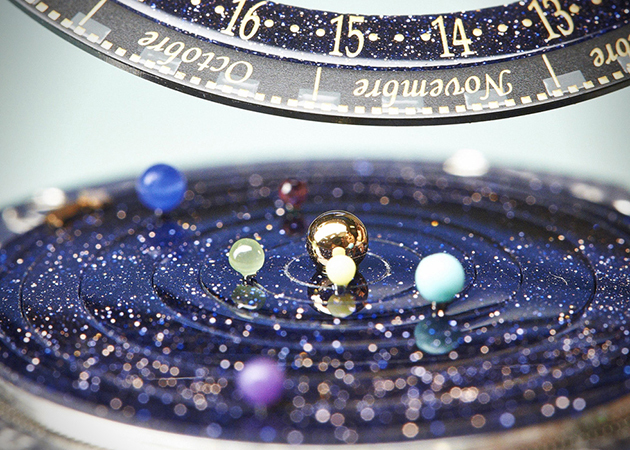 Featuring an amazing 396 moving parts, the Midnight Planetarium watch displays an accurate representation of six planets and their rotations around the sun, from Mercury’s swift 88-day trip, to Earth’s 365 day circle, to Saturn. How complicated and accurate it is! 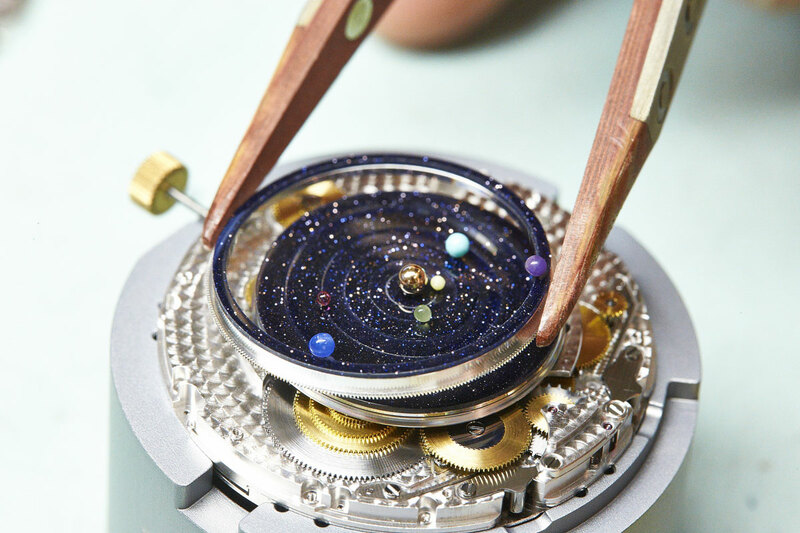 So I think this mechanical watch is very worth possessing one. 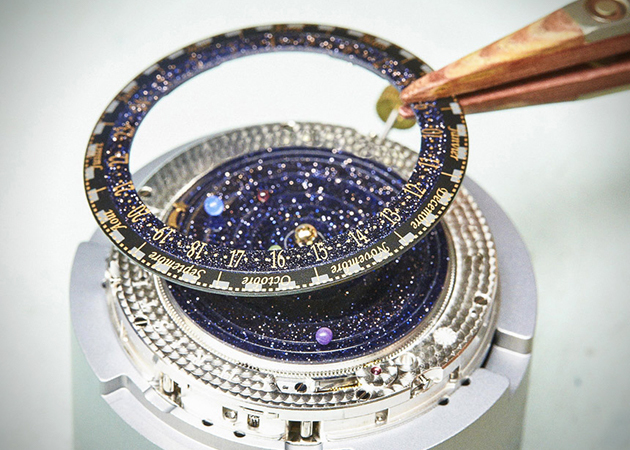 What’s more, “The complication is not only to make orbits for the planets, the biggest or the most complicated is to make it with this type of case—it’s very thin,” their master watchmaker, Denis Giguet, explains to CH. 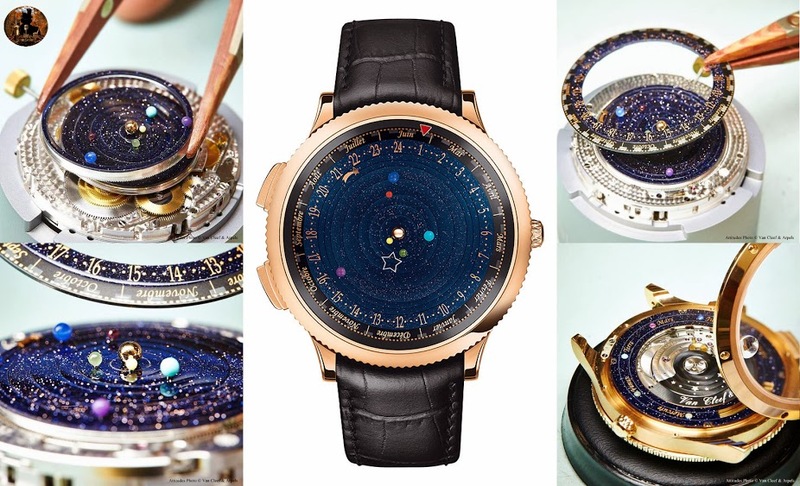 “It’s fantastical and beautiful, as well.” It’s just as much couture jewelry as it is a watch, and arguably invokes science as much as art. Yes, it is so fantastical that I want to possess and purchase it. But I haven’t enough money to afford it. If you have the economic power to do this, don’t hesitate!